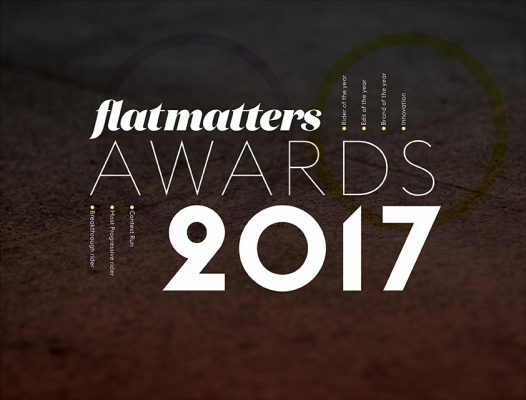 The 2017 Flatmattersonline Year End Award Nominees are….. Happy New Year everyone! It’s time to announce the nominees for the editorial and reader choice 2017 Flatmattersonline Year end awards, thank you to everyone who took the time to vote. As always it is interesting to see what you the reader of Flatmattersonline thinks compared to my editorial votes. And last not certainly not least congratulations to all the nominees. James White – whiplash body varial whiplash out. John Yull – foot jam whip to spinning weed wacker one handed decade out. Matthias Dandois – Rolling front yard turbine no handed 360 boomerang to right side halfpacker. Jean William Prevost – Forklift out opposite on pedal. Scott Powell – triple upside down orb. Simon O’Brien – spinning circle k to backwards backpacker. As always I like to leave this one as a surprise. To be announced Monday January 15th. * Only four riders voted for (incase you are wondering). James White – Critical Beatdown. * There were three ties this year in your choice for edit of year. Viki Gomez – Flatark Final. 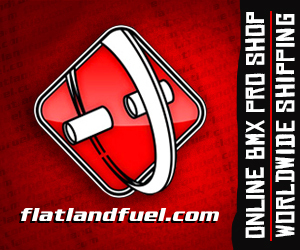 Jean William Prevost – BMX Cologne qualification. Jean William Prevost – Flatark Final. Jean William Prevost – Ninja Spin Final. This entry was posted in Exclusives, News and tagged Alex Jumelin John Yull Jean William Prevost Matthias Dandois Dominik Nekolny, Austin Luberda, Benjamin Hudson, Denes Katona, Effraim Catlow, James White, Mates Tucek, Quentin Pelorson, Scott Powell, Simon O'Brien, The 2017 Flatmattersonline Year End Award Nominees are….., Viki Gomez, Yu Katagiri by Effraim. Bookmark the permalink. Dub, dub or dub? lol Congrats man!